Needless to say, you get some soul-satisfaction out of being proven right — and I’m more fortunate than most in that I have been messing around the Robert E. Howard fan arena for decades, with the opportunity to be proven right again and again and again. And again. You know, sometimes it gets old. 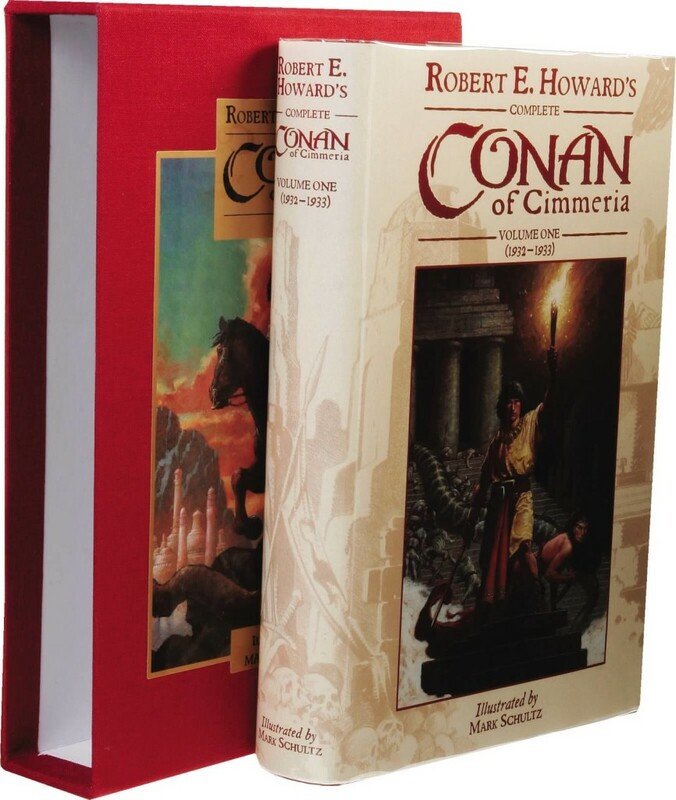 Leo Grin of the late lamented The Cimmerian magazine and the recently retooled uber modern The Cimmerian blog says that he has found me at least 95% correct on any and all things I have ever said about Howard or Howard fandom. Leo and I stirred up some controversy in the first issue of The Cimmerian in 2004 by running my essay “Conan the Expensive,” which gave a history of Howard’s character Conan in various print incarnations, and ended with me talking about how overwrought, overblown and overpriced the then current publishing program from Wandering Star books was turning out to be. If interested in precisely what I said, haul out your copy of the issue or check the reprint in The Dark Barbarian That Towers Over All — but in essence I said that I thought the program with each new Conan book priced at around $250 was ridiculous, and predicted that the set would never maintain the retail value. To quote one line: “The hardcovers aren’t worth sinking the money into.” That’s a pretty clear statement, right? And of course various partisans began screaming and yelling about how wrong I was, how I didn’t know anything. I was wrong, and they were right. Fastforward a decade plus to this year’s PulpFest. William Patrick Maynard, the Fu Manchu guy, was holding down a dealer’s table, offering various of his neo-pulp titles and offloading other books, including a set of various Wandering Star publications. As I predicted the WS operation failed not long after I did my essay, and instead of appearing in slipcased editions printed on handmade paper, some new titles instead came out from Del Rey as trade paperbacks. So, Maynard had a row of approximately 10 or 12 WS/Del Rey titles — believe he had all three Conan hardbacks in slipcase, a couple of other titles also in slipcase, maybe one or two hardbacks not in slipcase, and another six or so in trade paperback. It may not have been a complete run of those Howard titles, but if not, it was close. You could see the wheels turning. He wanted perhaps one or two, the others he’d have to sell on eBay or something. After a moment Haefele decided he’d pass — he didn’t want to get stuck with the extras. So, was I right or was I right? When I did the essay the first Wandering Star Conan was out and tagged at over $200. Two months ago a couple of bills would have landed you that book and a row of its buddies.